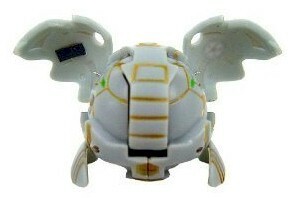 Tuskor is an elephant-like Bakugan that has large ears and two pairs of tusks. Tuskor is an armored elephant like creature. It uses its immense trunk to crush its opponents. The tip of the massive trunk has multiple spikes. Four strong horned tusks can penetrate any armor. Purchase Tuskor from Amazon now!